A delegation of lawmakers and first responders will head to Albany Wednesday morning, seeking a state certification allows an emergency services company to operate throughout Niagara County. 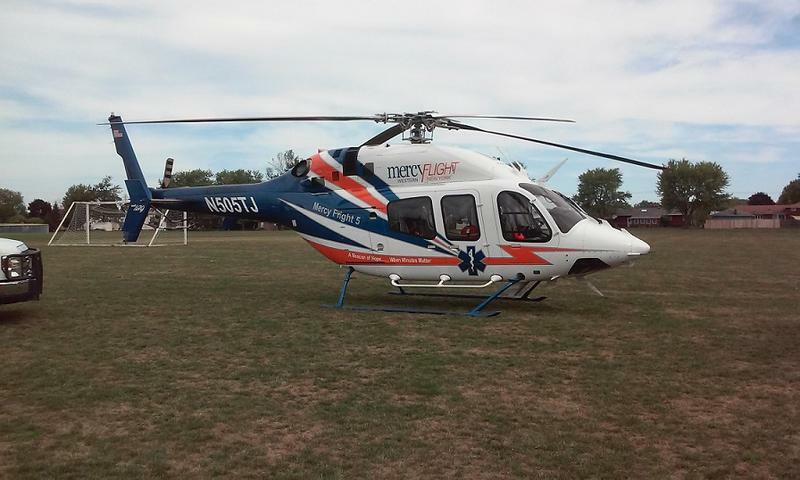 Mercy EMS, a division of Mercy Flight based in Batavia, stepped in last year to provide emergency first response services after American Medical Response, or AMR, reduced its coverage of the county to the City of Niagara Falls and Mount St Mary's Hospital in Lewiston. A Mercy EMS ambulance sits in Veteran's Park in the Town of Niagara in August 2016. 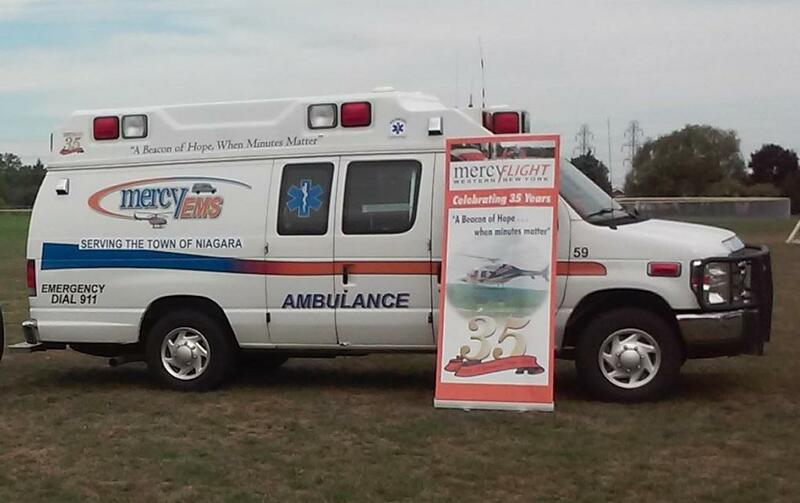 Niagara County officials are asking a state panel to clear the way for Mercy EMS to serve the entire county. "We have a lot of open rural space," said Jonathan Schultz, who directs Niagara County's Emergency Services. "To the credit of the volunteer fire services, they've done a phenomenal job for Niagara County and they continue to do a phenomenal job, Fire, EMS, Rescue and everything else. They provide that stop gap help fill and provide the best service to the people of Erie County. But Schultz says in those rural portions of Niagara County, the availability of resource can make the difference between a desired response time of just a few minutes to situations where patients wait more than a half hour before help arrives. Mercy EMS applied for a certificate of need to the Big Lakes Regional EMS Council, or REMSCO. Following a November hearing, Big Lakes REMSCO approved the application. But Mercy EMS ran into a roadblock. Twin City Ambulance, which covers North Tonawanda and Lockport and a handful of neighboring volunteer fire districts, filed an appeal. That company's president told the Niagara Gazette in its September 24 edition that Mercy EMS did not provide all the required information to the state health department. Furthermore, the company contends, there are enough resources available and Twin City has offered to extend into areas outside of its current territories, if needed and called. But Schultz, who was planning to leave for Albany early Tuesday in advance of the upcoming hearing with the State EMS Council (SEMSCO), is among those hopeful they may convince the state panel to give Mercy EMS the Certificate of Need that allows it to go county-wide, immediately upon SEMSCO's approval. "They actually started doing coverage in the Town of Niagara, which doesn't have an ambulance, and since then has moved forward at the request of Niagara County and the volunteer fire services and many other agencies in Niagara County to work on getting a full certificate so they can actually help all across the county," Schultz said. A Niagara County municipality that learned it was losing its ambulance provider last month has a new one in place. Officials say entering into a contract with Mercy Flight and Mercy EMS makes sense, because the company is a desired partner for a forthcoming emergency services hub. 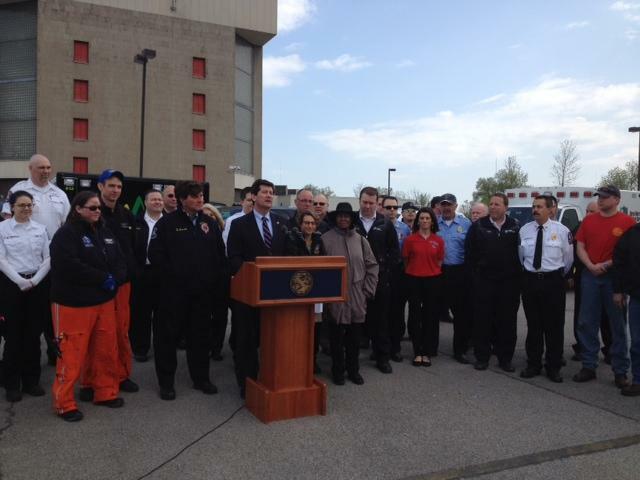 Erie County observed the 40th annual EMS Week on Monday. The national celebration aims to highlight the lifesaving teamwork displayed by emergency personnel.